It’s that time of the year when every nook and corner of the city is flooded with posters n banners flashing SALE!! It’s a sale galore everywhere and I just couldn’t resist picking up these beauties 😉 got most of them for 700-800 bucks and thought they were absolute worth the money! 1. 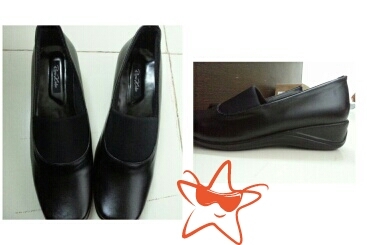 Office wear: loved these comfortable shoes for daily office use on my formals. The good part about them are their heels. .which are not pointy but yet smoothened out flatly yet elevated. They also have a little spunge in the front for better comfort. 2. 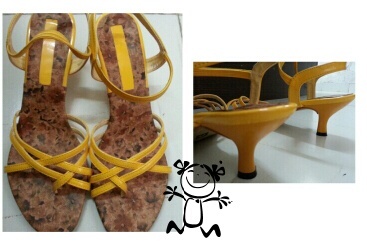 Sandals: I was passing buy and saw these lovely stripped sandals in yellow and just couldn’t resist picking them. They are a nice fit on anything. ..specially casual skirts, denims or ethnic salwar kameez as well. They have a nice delicate look to them . .plus a summer yellow. ..so loved it. 3. Wedges: loved the snake print stripes on these. Light and dark stripes crossing each other. .Thought these could be used in casuals as well as formals. 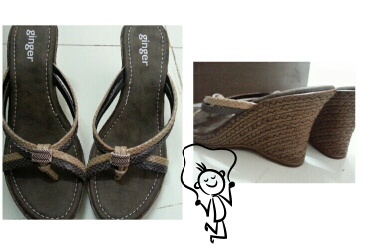 And they are wedge heels afterall, you can’t go wrong there. 4. My favorite: I just love these! ! Gorgeous looking. .sandals with a bow! I fell for these head over heels.. love at first sight; ) love the grey color. .look great on skirts one dresses. ..total value for money!